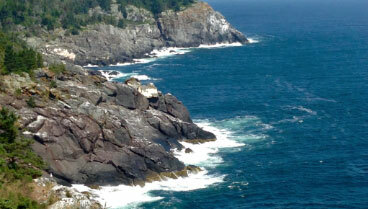 In addition to Maine’s breathtaking coastal beauty and historic lighthouses, the state is also well-known for some of the freshest lobster in the nation. Travelers from all over the world flock to Maine just to get a taste of our region’s unforgettable lobster dishes. Our guests are always eager to find where they can get the tastiest fresh Maine lobster in town, and these are the places we most highly recommend each time. 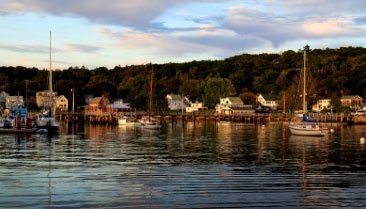 Read on to find where you can eat lobster in Boothbay Harbor and which dishes you absolutely must try. Fresh Maine lobster is just one of the many things to enjoy during your next visit to Boothbay Harbor. Request your free copy of our Vacation Guide right now and you’ll instantly receive a full list of our area’s top attractions, hiking trails, beaches, restaurants, and more. It’s the only thing you’ll need to plan the perfect getaway with us. For those of you who love to go off the beaten path and experience the best local hotspots, then you must visit Trevett General Store. This little-known gem is said to have some of the best lobster rolls in Maine. They also offer a menu of delicious burgers, sandwiches, and fried scallops. While you are enjoying your fresh Maine lobster, be sure to enjoy the view of the smallest swing bridge being operated by man power. It certainly is a sight! If you are the type who enjoys being by the water, watching the boats navigate through the harbor, and learning more about local fishermen, then be sure to head over to Robinson’s Wharf. They have an incredible seafood market, restaurant, and bar all in one amazing area. Most of the tables at their restaurant are located on the dock, so you’ll be sure to get an incredible view of the water no matter where you sit. Most nights, they also have live music performances to keep you entertained during your meal. When your visit to Boothbay Harbor is coming to an end, the seafood market is the perfect spot to pick up some fresh-off-the-boat seafood to bring home with you. Live too far to carry it? They offer Maine lobster delivery to anywhere in the nation! For a romantic night out, the Boathouse Bistro is an absolute must! 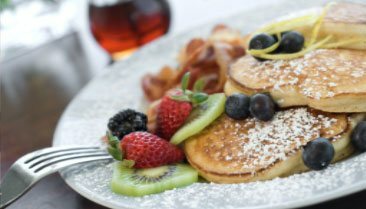 They offer a tapas style menu filled with Maine classics, including fresh Maine lobster, and unique international flair. You can choose to sit inside or out on their deck during warm and beautiful evenings. Be sure to check out their fantastic wine menu to pair the perfect drink with your meal. Kaler’s in Boothbay Harbor is known for some of the best fresh Maine lobster at an unbeatable price. Since 1998, this family-owned eatery has offered locals and visitors alike with mouthwatering lobster pie, a variety of other seafood dishes, and unforgettable waterside dining. Be sure you stop by between 3 p.m. and 5 p.m. for happy hour in their Hunky Dory Pub! Now that you know where to find the best fresh Maine lobster, it’s time to start planning your getaway. 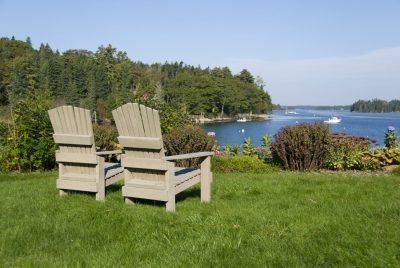 Perched on a hill overlooking the harbor, the Topside Inn offers easy access to downtown Boothbay yet feels like it’s miles away. 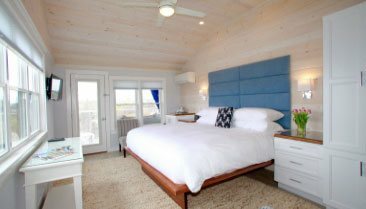 Plus, guests enjoy comfortable accommodations, luxurious amenities, spectacular views, and a delicious daily breakfast. What’s better than that? To make your reservations, check our availability or give us a call at (207) 633-5404. We look forward to having you!